3.1 The Start Menu or the Start Screen? The lessons in this part are designed to help you get Windows 10 installed. You learn about the various system requirements, how to perform a clean installation, and how to transition from operating systems such as Windows XP, Windows 7, and Windows 8. The lessons in this part are intended to familiarize you with the basics of using Windows 10. You learn about the new Start menu, Cortana, the multiple desktop feature, and much more. The lessons in this part are all about the new Start menu. You learn how to use the Start menu and how to customize it so that the items that you use most often are easy to find. You also learn how to display useful information through live tiles. The lessons in this part are designed to help you to configure Windows 10 to meet your needs. You learn about the Control Panel, the Settings screen and the lock screen. 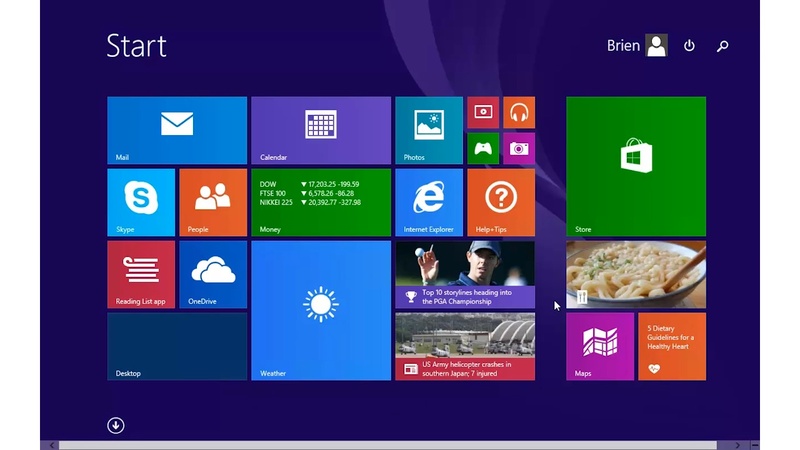 You also learn how to enable accessibility features and how to customize the desktop and the Start screen. The lessons in this part teach you how to download, install, and uninstall applications. You learn how to use the Windows store and how to install and remove desktop applications. The lessons in this part discuss some of the apps that are included with Windows 10. You learn about the News, Sports, Weather, Calculator, Mail, Calendar, and People apps. The lessons in this part are all about the new Edge browser. Not only do you learn how to use the new browser, but you also learn how to hide the ads that appear on Web pages, create a reading list, save a Web page for offline viewing, and even mark up a Web page. The lessons in this part discuss Windows 10’s entertainment capabilities. Here you learn how to play movies and music, how to organize your photos, and even how to access Xbox Live. The lessons in this part are designed to teach you some basic troubleshooting and maintenance skills. You learn how to prepare a new hard disk for use, how to free up extra disk space, how to create a backup, and how to defragment your hard disk. You also learn how to use the System Configuration tool and Safe Mode to fix problems that might occur. The lessons in this part are about using Windows 10 on devices other than PCs. You learn how to upgrade a tablet to Windows 10 and how to run your favorite Windows apps on your phone. You even learn how to keep your data and configuration settings synchronized across your Windows 10 devices. Windows 10 Tutorial: Essential Video Guide to Mastering Windows 10 is an easy-to-understand, but comprehensive, 9.5-hour video course that introduces viewers to Windows 10, and then explains exactly how to use this new Microsoft operating system. This video course also includes more advanced information to help users truly be able to customize Windows 10 to their personal and/or professional preferences. This video series is designed to help you to install and use Windows 10. Technology and Microsoft MVP, Brien Posey, demonstrates how to install Windows 10 and how to upgrade existing Windows PCs and tablets. Posey also demonstrates how to use a wide variety of Windows 10 features and even how to use the new operating system on a phone or tablet. Whether you are just getting started with Windows or you have used other versions of Windows for years, this video series is for you. * Anyone looking for a practical introduction to Windows 10 to quickly become proficient at Microsoft’s newest operating system. 11.4 Does the PC Still Have Its Place? Que Video helps you learn technology efficiently with easy-to-follow video tutorials covering popular software apps, online games, and more. Each Que video is professionally produced and features the highest quality step-by-step instruction designed by trusted authors and trainers from Que Publishing, an imprint of Pearson—the world’s leading learning company. View Que Videos at http://www.quepublishing.com/quevideo.